Albert Einstein’s brain was removed from his body in 1955 during an autopsy by Princeton Hospital pathologist Thomas Harvey. Fascinated with the late mastermind, Harvey received permission from Einstein’s son, sliced the brain into over 200 cubes, preserved them in formaldehyde and took them home. In hopes to discover what made Einstein’s intelligence unique, he took a collection of images of the brain from various angles. In 2010 it was donated by Harvey’s estate to the National Museum of Health and Medicine in Silver Spring, Maryland. 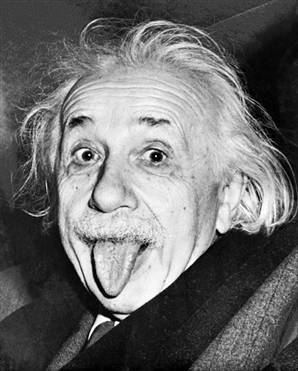 In a 1999 study published in the Lancet from samples Harvey gave to researchers, it shows that Einstein’s parietal lobe was 15% wider than average. The parietal lobe being important to the understanding of spatial relationships, language and math. The National Museum of Health and Medicine in Chicago converted the slides for use in the iPad app that was released today. Students, teachers and anyone curious can have a look into history at genius, preserved by the app for generations to come. Paglia said the app could “inspire a whole new generation of neuroscientists.